Your Home Entertainment in Surround Sound. Bring the best bits of movie going experience right into your own living space in full immersion of beautiful sound. With a good quality set of home theatre system, you can transform your living space into a music hall or movie theater, making you feel like you're in the centre of the action. (5) The first digit refers to the number of traditional surround speakers (front, centre, and surround). (.1) The next digit refers to the number of powered subwoofers (sometimes called the low-frequency effects, or LFE speakers) you can connect to your receiver. 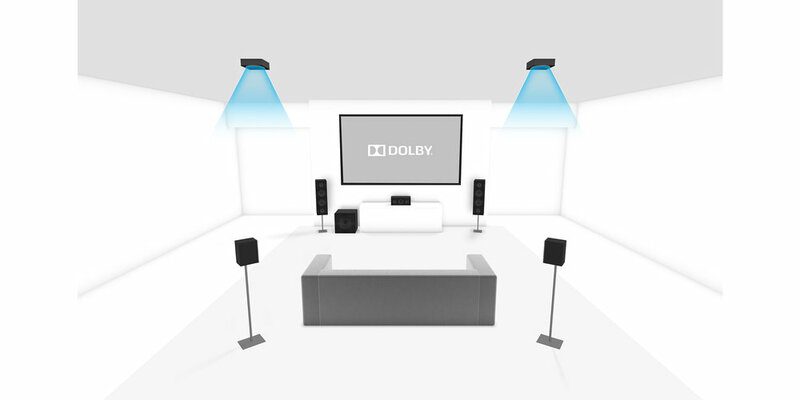 (.2) Only Dolby Atmos enabled systems use a third digit, which refers to the number of speakers in a Dolby Atmos setup.